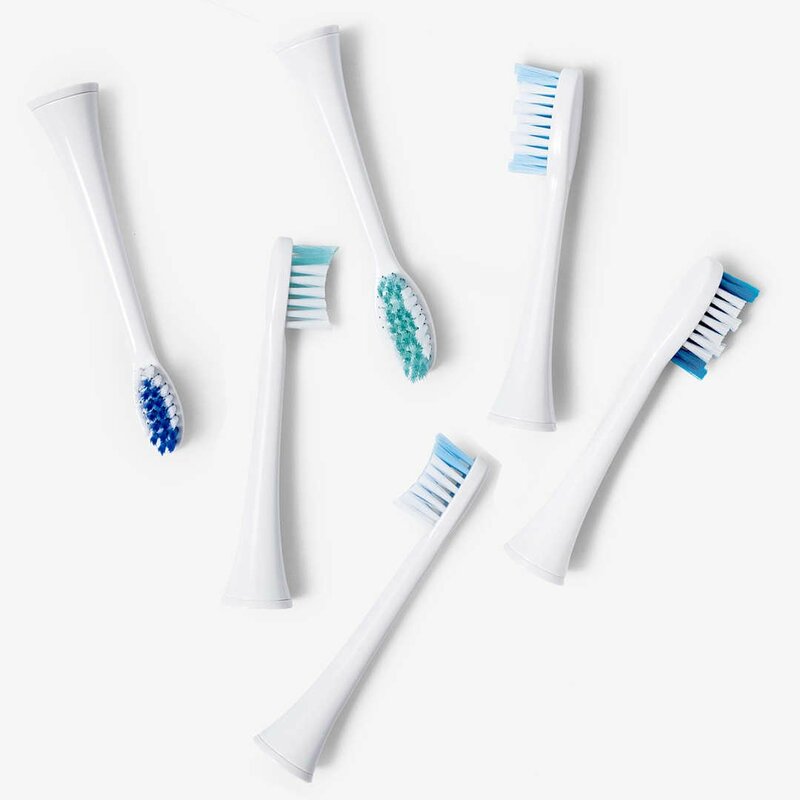 Designed for our Elements Sonic Toothbrush, these high-quality brush heads are equipped with specially designed bristles to ensure that your toothbrush is working its hardest to help keep your teeth clean and healthy. We offer additional heads on their own or as a subscription program because dental professionals recommend replacing your toothbrush head at least every three months. Clinical research shows that a new toothbrush head can remove more plaque than a worn out one. 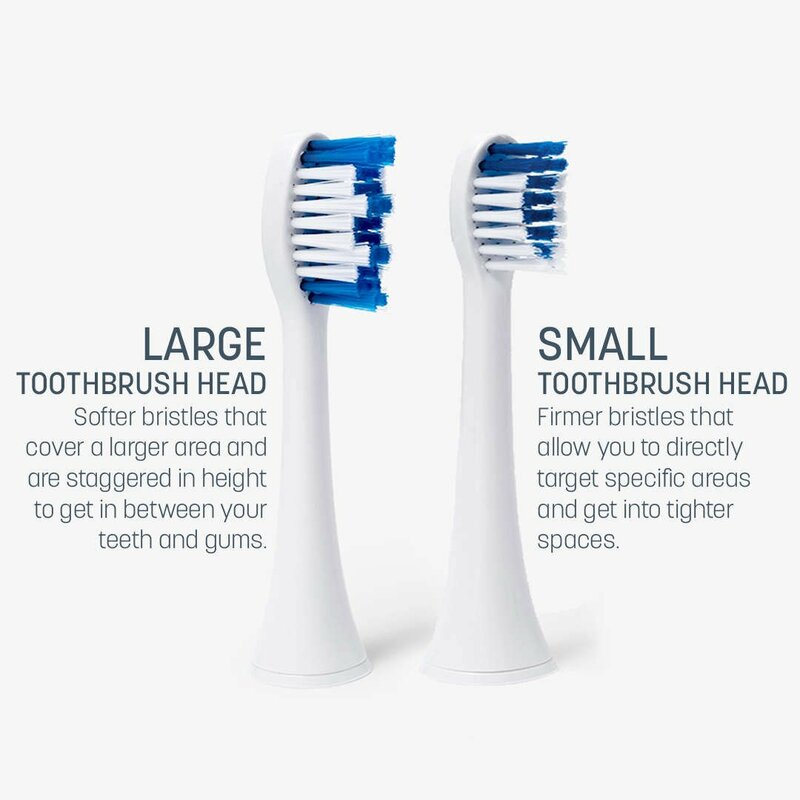 Our toothbrush heads are available in a small and a large sizes so that you can select the fit that is right for you.